Trying to fill up the walls in the kitchen can be a bit overwhelming. It’s not like you have a bunch of huge spaces since the cabinets and appliances fill up most of the wall space. So I decided to create a little printable that when framed could look beautiful and fit in with almost any décor. 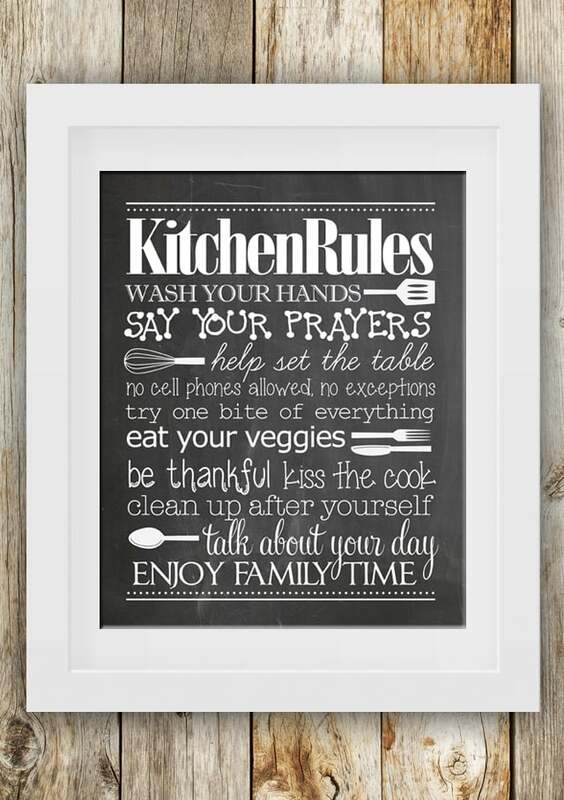 My favorite part of this printable is NO CELL PHONES. 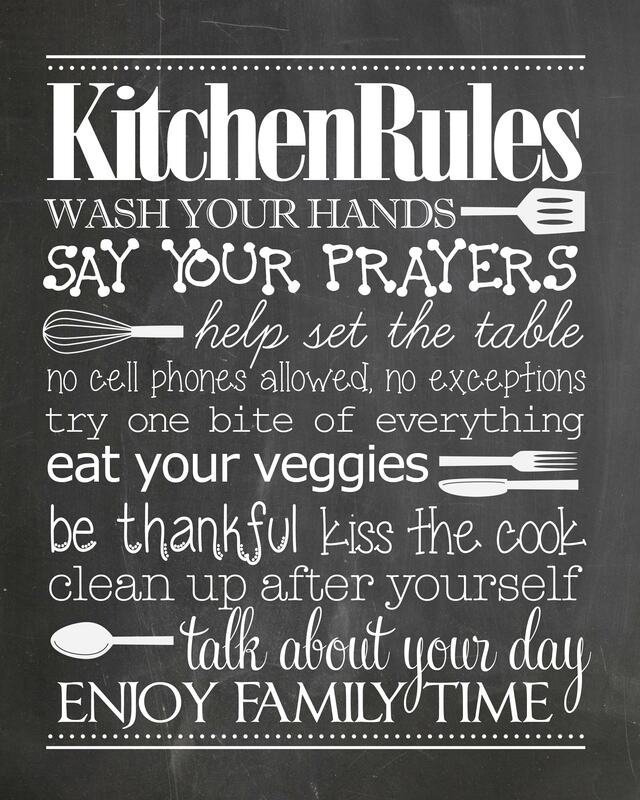 And enjoy family time of course. Dinner is my favorite part of the day for that! 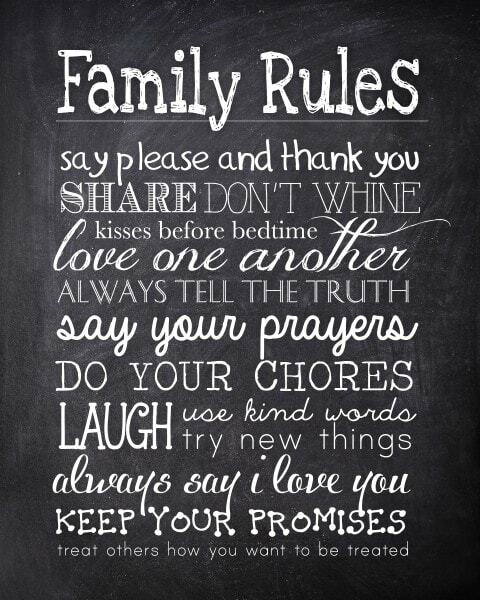 check out my Family Rules free printable. 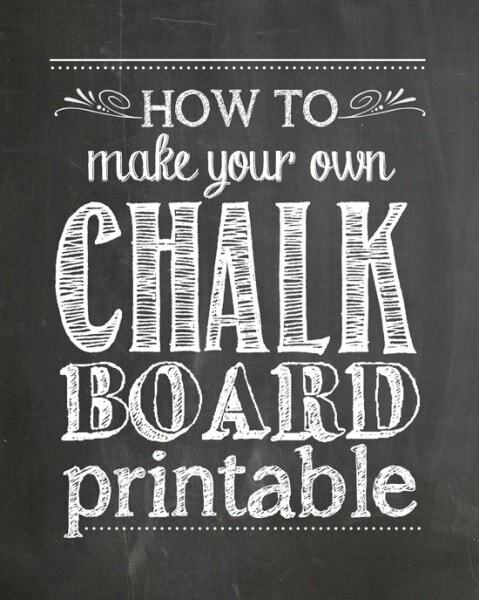 And you can check out all of my FREE PRINTABLES HERE. I’ve been looking for artwork to hang the kitchen. We just purchased a new table, so I’m working on finishing the room. This is perfect. Thank you! If I wanted this larger…would it print ok? I love this but have a random awkward wall. I’ve been trying to decide if I should do several floating shelves with multiple frames…or one large print like this. You could easily print it at 300%. I’ll send files like this to Kinko’s or similar with no issues. Prints beautifully! I was wondering where you got the frame shown in the picture? I love the white/white matted frame! Can I get this in different colors somehow? I’m sorry, I only have it available in black and white. 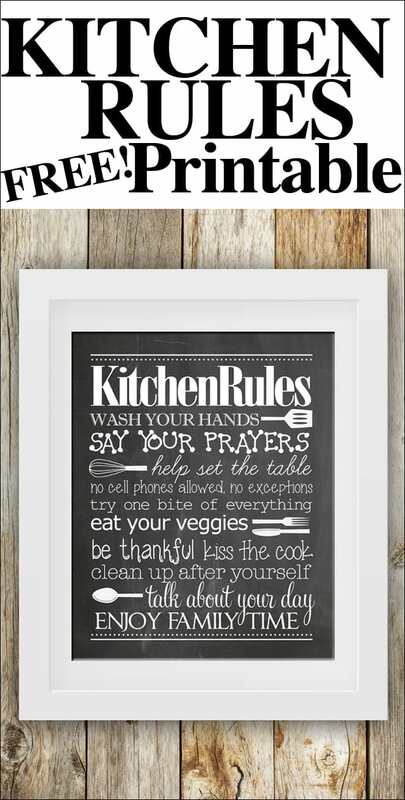 Hi can u help please, when I right click the kitchen rules image to print it just appears as two a4 prints with writing on both. How do I get it all on one A4 to print?